Canon didn’t wait until drupa to release many of its new products. We covered a few very important product releases made at Hunkeler Innovation Days last February, and most of those announcements produced some fairly rapid sales and deployments. In fact, Canon finished 2015 in the number one position for its 6th straight year in inkjet placement globally. Canon projected that would exceed 1,000 inkjet engines placed globally by the end of 2016. While they are in the number one position globally, their placement in the US market is only bested by the combination of the Ricoh/Screen devices. Canon’s aim of reaching the number one position in the U.S. in 2016 will undoubtedly be supported by the newly announced ColorStream Mono, ColorStream 6000 Chroma, and the breakthrough VarioPrint i300 sheetfed press. CSA (Canon Solutions America) has already installed over 15 i300 systems, which in not bad for a press that has been shipping for less than a year. Customer ramp up, once installed is high, with each press printing an average of more than 2.5 million pages per month with a total volume to date of over 71 million pages. One customer, Progressive Impressions, reached over 8.5 million pages in a single month. Early indications are that the i300 has an uptime rate of 95-98%. Of note, between 40-60% of the i300 owners have transitioned from iGen, reinforcing that it is a very cost effective alternative to electrophotographic cut sheet presses. As promised, for drupa 2016, Canon has upgraded the imaging system on the i300. These new upgrades include the introduction of a spot pre-coat they are calling ColorGrip. This new feature places the pre-coat only on the areas that will receive ink, allowing the ink to sit high on the sheet and providing better print contrast. They are also introducing a new ink that enhances image quality on commodity grade untreated media, and also providing support for a wider range of media. All of these enhancements are targeted at providing significantly enhanced print output in an effort to expand i300 adoption in the commercial print segment. Canon will also be introducing support for the BLM booklet maker and the Tecnau 1530 perforator for the i300. In time for drupa 2016, Canon is also introducing the ColorStream Mono, a cost effective monochrome-only device based on the 3000Z platform. It runs at 417 fpm using either dye or pigment ink, and has MICR compatibility. 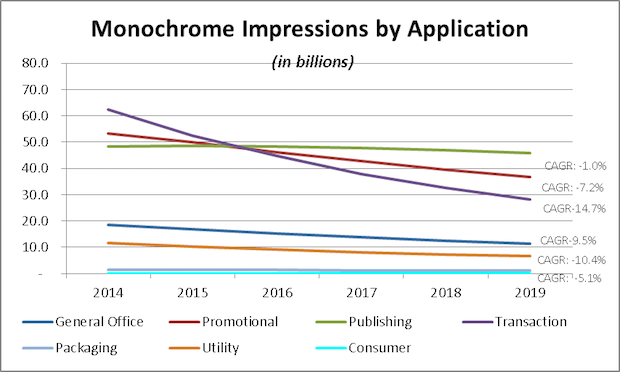 Canon, as well as other production inkjet manufacturers, have found a significant demand for monochrome only printing, estimated at over 100 billion pages annually in the US alone, and are introducing cost effective solutions to satisfy that demand. The ColorStream Mono uses Kyocera heads, but with simpler electronics and reduced cooling, since the coverage isn’t as high as full color. According to Canon, these design and operating cost savings created a press with a TCO lower than electrophotography. Also being introduced is the ColorStream 6000 Chroma continuous feed production inkjet press. Built on the strength of the existing ColorStream line, including both the ColorStream 3000 and 3000Z systems, this new offering brings a “new level of color vibrancy.” The new Chromera ink set has a higher pigment load which produces higher optical densities and a wider gamut. The ink was designed to further extend the application range to lighter weight media with reduced ink show-through on both treated and uncoated media. It also introduces the new Océ HeadSafe technology that enables switching between mono and full color printing. The ColorStream 6000 models will support running speeds from 48 to 127 m/min in full color mode, and an optional maximum speed of 150mpm in monochrome mode. For the ColorStream continuous feed presses, Canon is also releasing an Innovation Package update which will include Pre-Fire, a technology that recirculates ink inside the printing head anytime it isn’t ejecting ink. 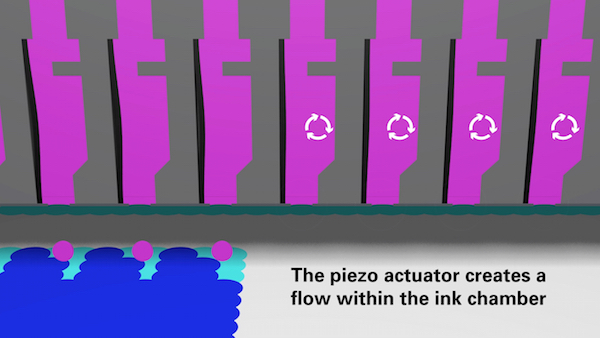 It ensures consistent droplet size and positioning, by both ‘exercising’ the head and saving ink since ink doesn’t need to be ejected. This pre-fire feature should also extend head life. It also includes an image macro smoothness optimization for all colors, which improves the smoothness especially for saturated secondary colors. This is a firmware update and should find its way to the installed base of ColorStream presses. One of the other announced products at Hunkeler that may need a refreshed awareness was the introduction of the Canon ColorStream 3000Z. This model was designed for a space-constrained environment. It uses about 30% less floor space than the ColorStream 3000. It has a 6.5”-21.25” print width, and it prints at 48-127 m/min with pigment, premium pigment, dye and security inks in up to 6 colors. It was initially designed for the Asian market where floor space is an issue. However, since its introduction, Canon is finding that floor space is an issue in many other parts of the globe, so they are starting to see the demand for this model expanding. The ImageStream line of presses will see a firmware and stability upgrade as well. Stay tuned for more in-depth information on these and other production inkjet solutions as the information becomes available and as we get closer to drupa 2016. I hope to bring you lots of detailed information as we did in the past to prepare you for your visit to drupa. Or if you are not going, to prepare you for your investigation into production inkjet acquisition. In advance of the next wave of articles, I would suggest that you might want to do a ‘review’ of the original production inkjet and workflow series’ as a refresher. It not only covers the vendors and machines that have made it to market, but also the driving technology, requirements and impediments. ColorGrip is interesting. Has this approach been tested in finishing equipment that uses friction feed mechanisms? 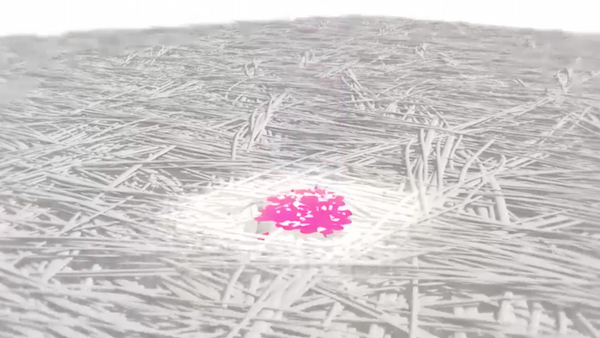 The simulation animation leads me to wonder what is anchoring the ink to the substrate. Might friction feed rollers tend to scuff the ink off the ColorGrip base, or is there enough "tooth" to anchor the ink? Since they have been working on this for a while, from the samples I reviewed, and the fact that it is running in a number of places, I am fairly certain that they have tested it. That being said, explicit confirmation can only be obtained by contacting Canon.